Looking for a career in HVAC? 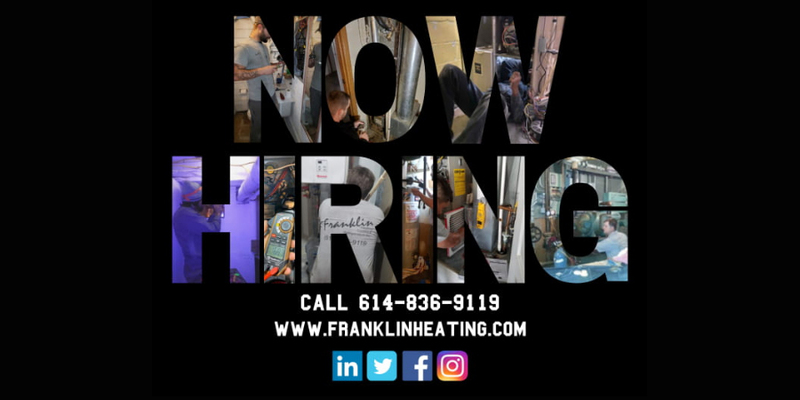 Columbus, Ohio based Franklin Heating Cooling & Refrigeration continues to grow and expand - even after 23 years in business. Individuals looking for employment in a highly-skilled field are encouraged to apply. Franklin Heating Cooling & Refrigeration is celebrating over 23 years in business and an A+ rating with the BBB! In addition to counting on us for your heating, air conditioning and commercial refrigeration needs, we service and install whole-house humidifiers and air purifiers, hot water heaters (including tankless instantaneous units), pool dehumidifiers, restaurant equipment, and permanently-installed, automatic, whole-house generators.